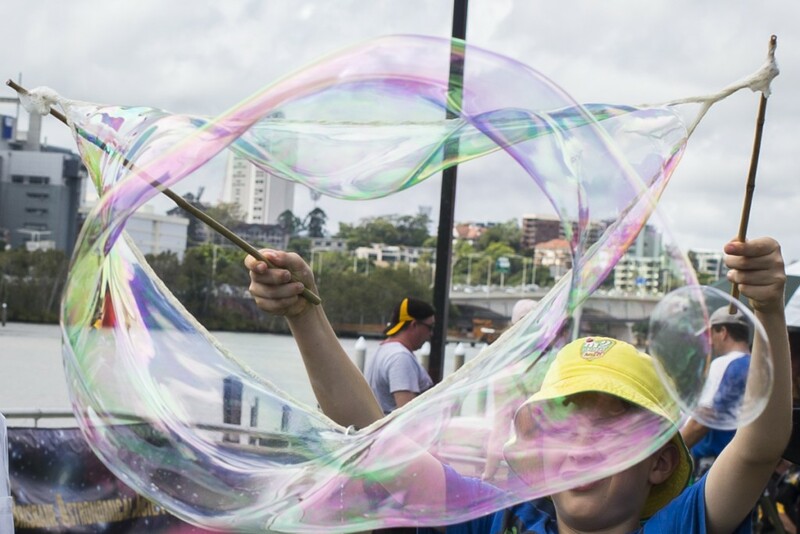 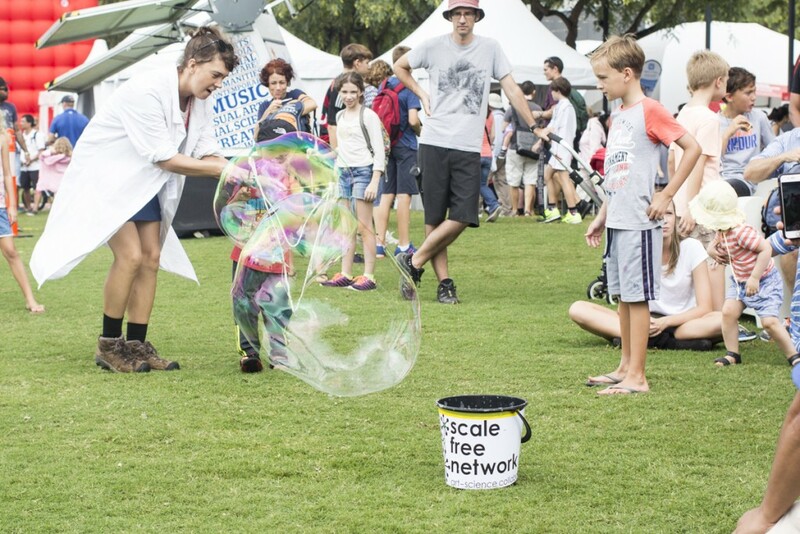 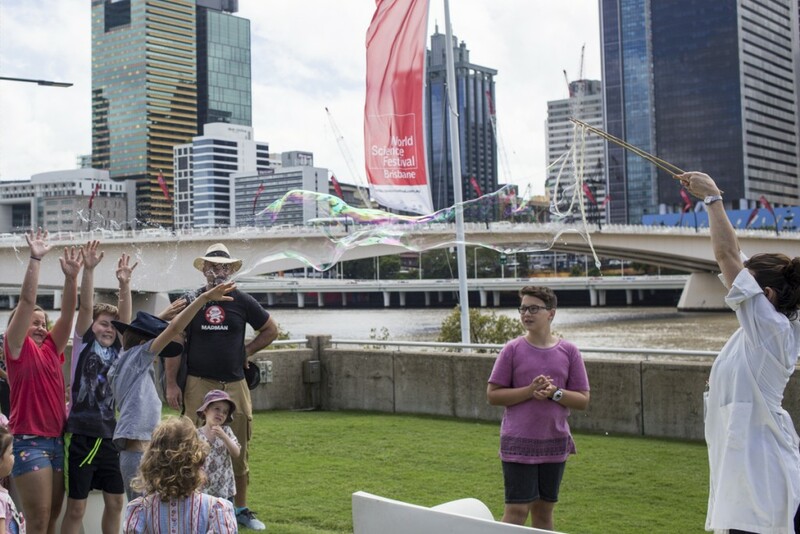 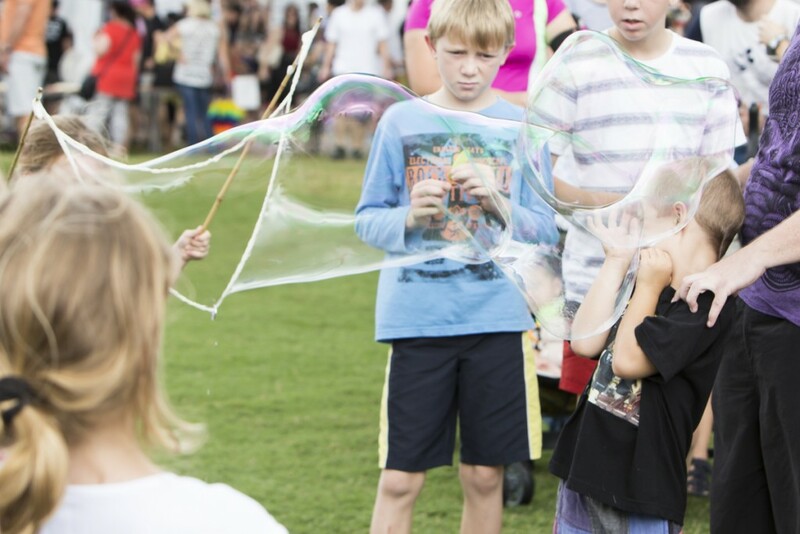 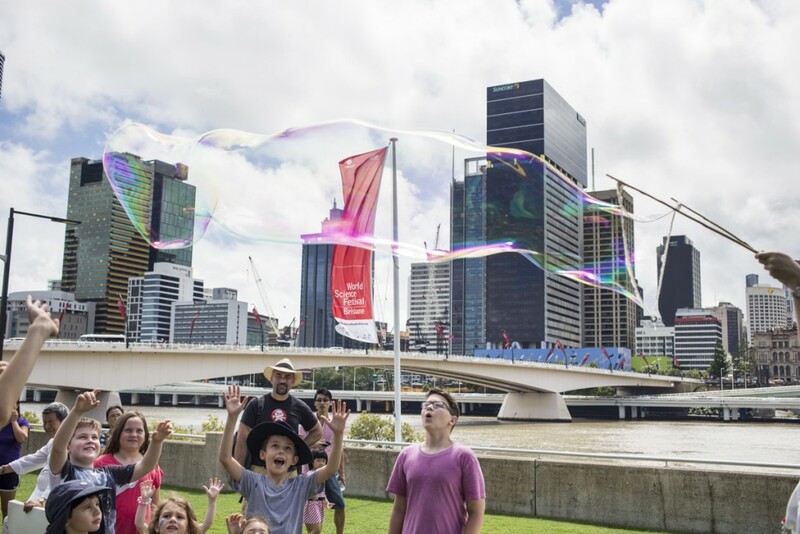 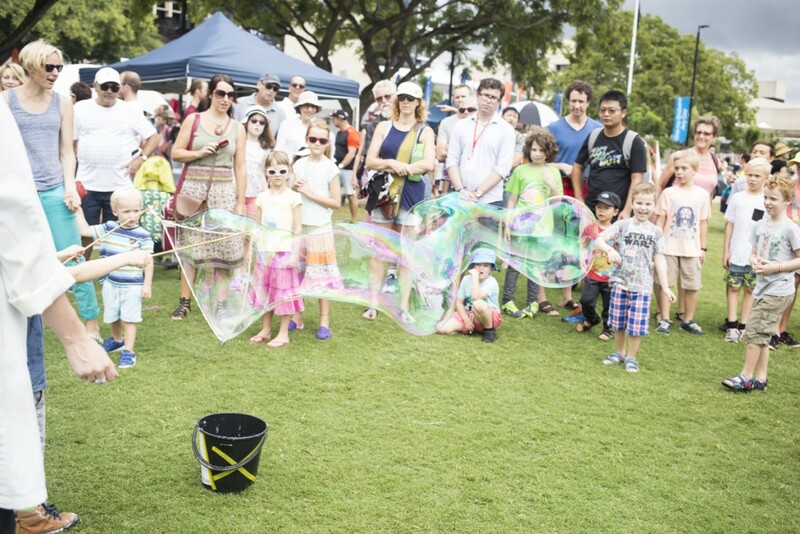 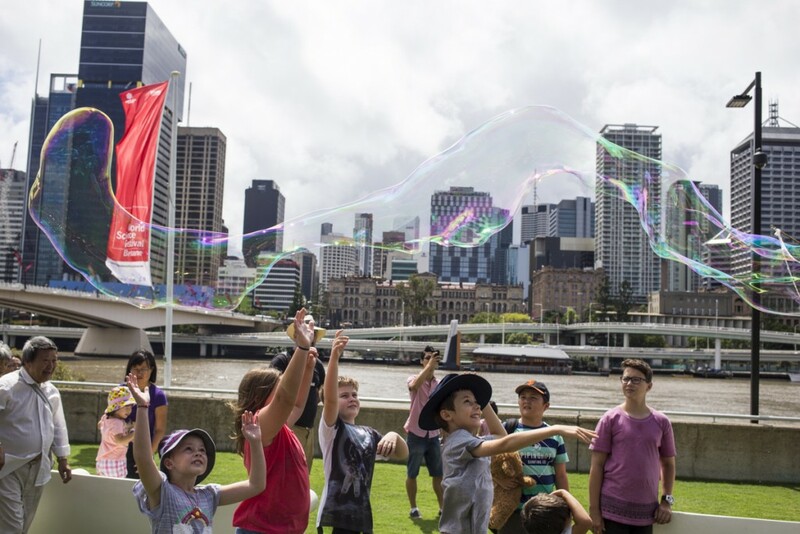 The good folks at World Science Festival Brisbane invited Scale Free Network to create a participatory art-science installation – featuring gigantic bubbles! 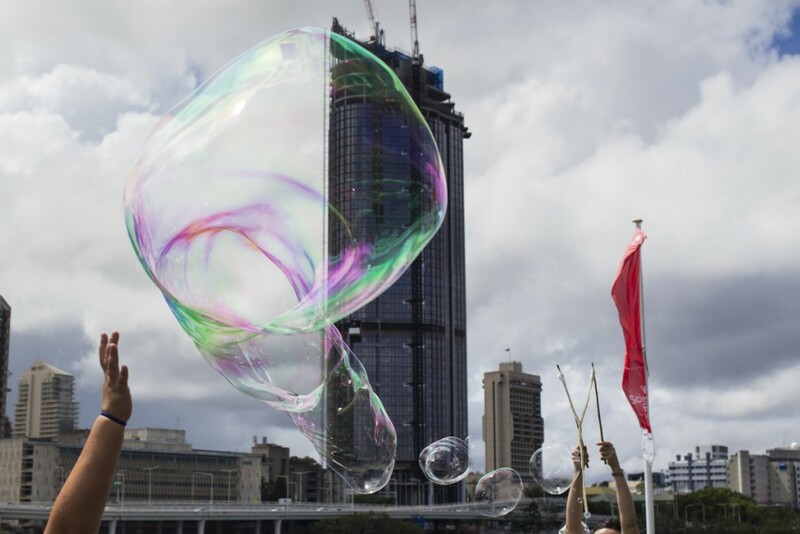 Jacqui Smith and Gert Geyer stepped up to create some of the most stunning bubbles we’ve ever seen…in spite of the hoards of little boys jostling to burst each massive bubble that emerged. 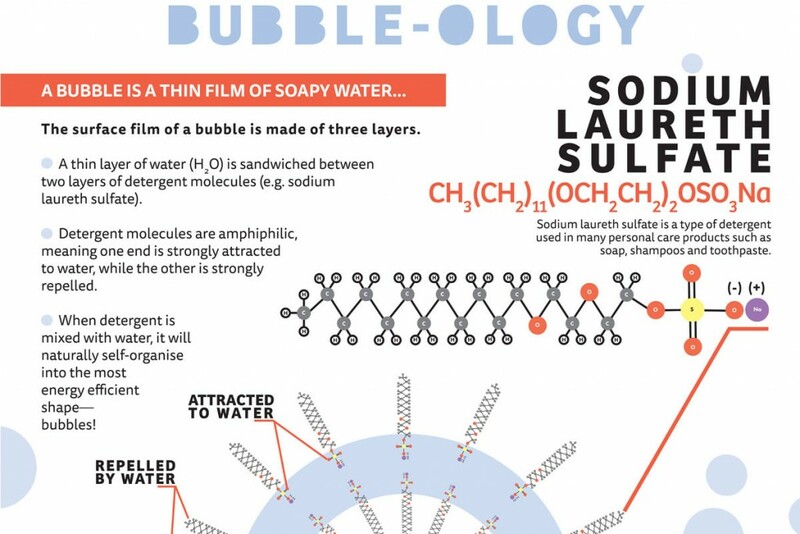 You can download a free Bubble-ology pdf here. 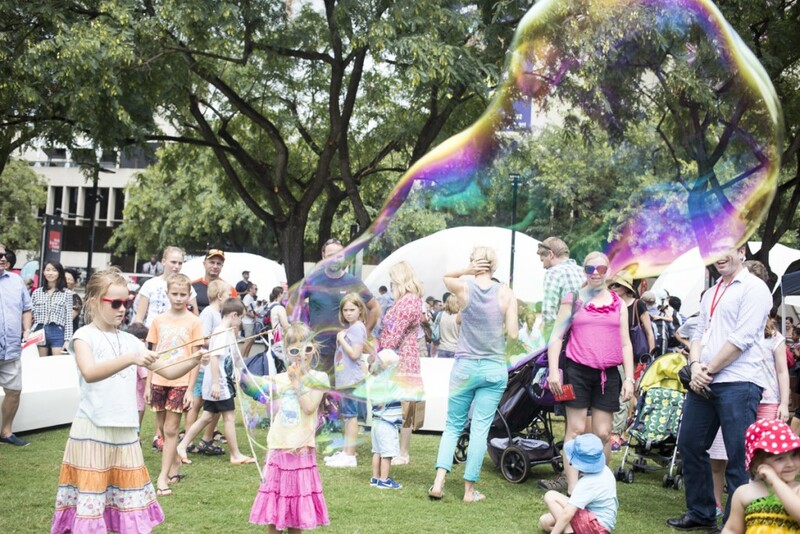 Thanks to Sarah Bazar at EmotiveLightPhotography for the stunning photos!